This entry was posted on July 30, 2018 by Goplasticpallets. With heightened awareness of the damaging effects of single-use plastic packaging and the continual price rises of pallet timber, more and more businesses are looking for sustainable packaging solutions, Jim Hardisty explains. When Blue Planet 2 aired last year, the UK’s media attention turned towards plastic packaging with disturbing reports on how single-use plastics are polluting the world’s oceans. The plastic didn’t get there by accident, it was either dumped or sent to a third world country with the promise of being recycled, but wasn’t. It’s clear we all need to be more responsible when it comes to plastic packaging, by reducing our obsession with single-use plastic and increasing our level of recycling of multi-use plastic. This campaign has started in earnest with many of our supermarkets asking questions such as “Why do four apples need to be on a plastic tray, in a plastic pack?” – The answer, of course, is they don’t. More than 40 companies, including Asda and Coca-Cola, have signed up with the government, trade associations and campaigners to form the UK Plastics Pact. By 2025, they aim to withdraw single-use plastic packaging by way of better design and make 100% of plastic packaging reusable, recyclable or compostable. Of course, multi-use plastics are already an integral part of many supply chains, whether it’s the plastic crate that apples are presented in at your local supermarket or the specially designed plastic stillages used to deliver new car parts from all over Europe to UK factories. 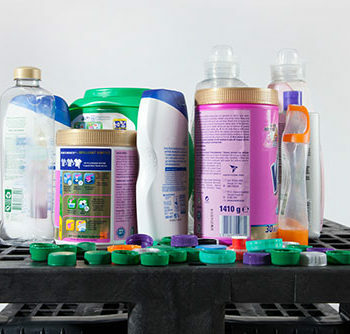 These multi-use plastic packaging products can be produced from recycled plastics, and after their really long working life, they can be recycled again, and the material can be reused to produce another product. 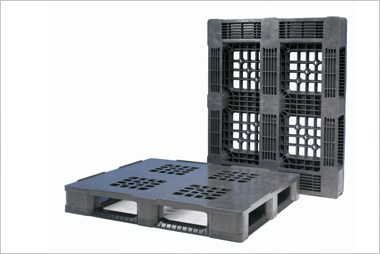 For example once a plastic pallet has reached the end of its long working life it can be reground and the material can be reused to produce another plastic pallet. 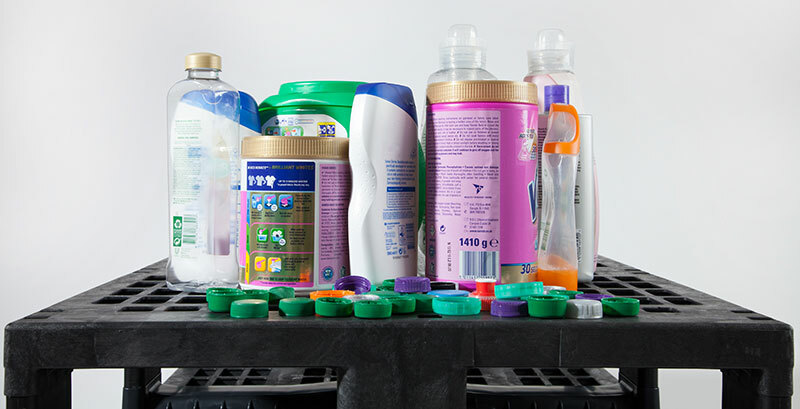 Using these multi-use plastic packaging products is the future in logistics and will remain an essential part of the supply chain for many years to come. 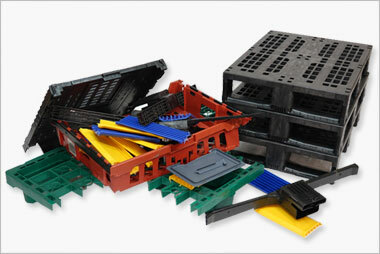 The continual price rises of pallet timber only strengthens the argument for using multi-use plastic pallets. The Markit/CIPS UK Manufacturing PMI data released in June indicated that pallet timber has seen a 22nd consecutive month increase in price and the 14th month in short supply. As a result, timber pallet manufacturers have had no option but to increase their prices, some by as much as 7.5%. So, put simply, the price of new wooden pallets will only continue to increase and the price of recycled plastic pallets will hold stable, and over time, may reduce as more and more materials are recycled. 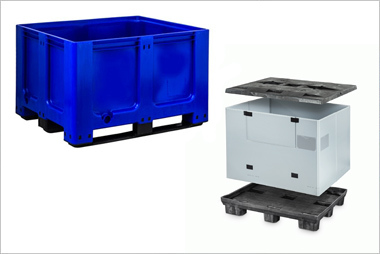 For managers making decisions on pallet investment, firstly look at how you can monitor your pallets, and ensure that they are used repeatedly over their working life and eventually recycled. 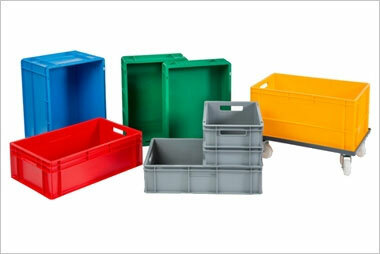 Secondly, seriously consider a well-designed and proven plastic pallet with strong references, produced in recycled materials which can be fully traced back to source. 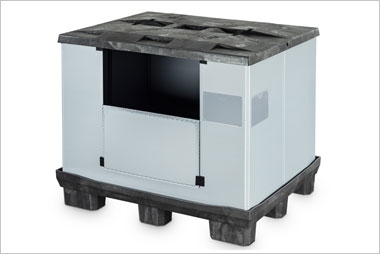 Thirdly, think about the long term, as this plastic pallet is going to be a long term asset in your supply chain – consider any changes you might implement over the coming five to 10 years, and opt for a product which will be future proof within your operation. For example, you may not have automation now, but you might in the future. As the UK’s leading independent supplier with stocks of more than 12,000 plastic pallets and pallet boxes and 5,000 small containers we take our environmental commitment very seriously. We are an Accredited Exporter of plastic waste, meaning we can help businesses that have plastic pallets or boxes they no longer need by returning them to the factory, where the plastic will be reground and reused in our products – ensuring they are recycled in a sustainable way.